Videogame maker Electronic Arts Inc. (EA) is exploring a sale as the company struggles to grow its business amid competition from free online gaming sites, the New York Post reported, citing sources. The paper reported EA has been approached by private-equity giants KKR and Providence Equity Partners about a potential deal. Representatives for EA weren't immediately available for comment. EA is the maker of such popular video games as "SimCity" and "Madden NFL" and had a market value of $4.17 billion as of Wednesday's close. Shares climbed 17% to $15.25 in light premarket trading and are down 36% this year. The paper quotes a source familiar with the company saying EA would do a deal at $20 a share. It last traded above that price in January. EA has reported mixed results in recent periods as softer demand for console videogames has hurt margins and as it faces increased competition from free-access online games. Last month, EA reported fiscal first-quarter earnings fell 9% as the company's core revenue slipped. The company is looking to transform its business model to better compete against rivals such as Zynga Inc. (ZNGA), which has expanded its business to better support Internet-based sales. I doubt any of the hardware guys would buy. New York Post? Wouldn't call that 'officially' up for sale, just more rumours. Maybe someone can turn them around from being the worst company in America to something...better? And who is capable of buying such humongous cooperation ? "Now you can buy the company that America has voted as the worst Company of the year!". EA is only $4.17 billion worth ??? I kind of want MS to buy them just to see the reaction on the Internet. By my calculations, if every GAF member pitched in $52,261.53 we could buy it. EA, always following Activisions lead. I don't think we can raise almost $5 billion. Not sure who should pick this up. Isn't New York Post a tabloid? Do they really want to look to Zynga for business model inspiration after the gigantic stock crash it just had? why would ea try to compete with zynga? they are doing pretty well in destroying themselves. just wait it out. Amid competition from free online gaming sites? Don't they own POGO? I thought that was pretty big. Peter Moore's long term plan to merge Sega, EA and Microsoft in its final stage. 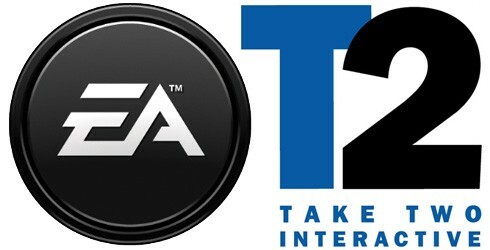 Hypothetically speaking, even if any of the console makers would buy EA, they would most likely keep the games multiplatform (at least at first) or else have a huge revenue loss. Yeah. Not exactly a bastion of journalistic integrity. You'd like to think it was based on solid info, but it could just be somebody trying to profit a bit from getting the "info" leaked. Well, I meant "officially" in reference to the rumours that were circulating a few months ago about a sale. This time everyone is reporting it. The Zynga comment is really weird given their massive problems. I can't even imagine who can buy such companies like EA and Activision. That would be ... big. Two of the most evil cooperations in the industry joining forces, who can stop them now ?! Man, they must've been betting big on The Old Repulic. Should've put less eggs in that basket. I BUY IT FOR A DOLLAR! Wait... EA is up for sale? One of the biggest if not the biggest publisher in history? You sure that is not a typo for AE? AE seems more likely to be sold than EA. I'll chip in $10 if someone starts up a Kickstarter to purchase it. Do you know who else talked like that? Poland. And where did that land them? We're doing this. We're doing this for America. Will it include an online pass? Quick!! someone go sober up evilore! !